Are There any Valid Reasons for Failing to Pay Child Support? Some of the most difficult issues that parents must cope with when going through a divorce relate to child custody. Although courts favor ordering joint custody, which gives parents equal physical and legal custody of their children, this is not always possible. In these cases, the non-custodial parent is required to pay child support to the parent who spends the most time with the child. Although child support is mandated by Florida courts, which impose serious penalties on parents who do not pay as ordered, there are a few legally valid reasons why a parent would not have to make payments. 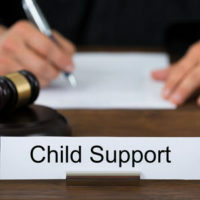 If you were ordered by a court to pay child support, but are unable to do so, it is critical to speak with an experienced child support lawyer who can explain your legal options. In Florida, the amount of child support that a parent must pay is determined by applying the Income Shares Model, which requires courts to estimate how much it would have cost a couple to financially support their child if they had stayed together. This amount is then divided between both parents according to their relative gross incomes, which are calculated by assessing each party’s salary, wages, bonuses, commissions, tips, overtime pay, disability benefits, retirement payments, and social security benefits. After subtracting certain deductions, such as health insurance and taxes from this amount, a person’s net income will be calculated, which, along with the number of children a couple has, is used to determine how much child support a person owes. Although courts have specific guidelines by which they must abide, they do have the discretion to change the specific amount within a five percent range. A party’s parental rights are terminated. Except in these few specific circumstances, paying child support is mandatory and failing to pay is punishable by wage garnishment, driver’s license suspension, and even jail time. 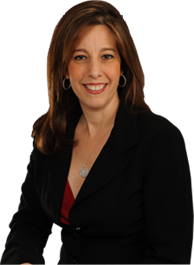 If you are unable to pay child support, or are seeking child support from an ex-spouse who refuses to pay as ordered, please call Sandra Bonfiglio, P.A. in Fort Lauderdale at 954-945-7591 for help reaching a solution that is in the best interests of both you and your child. Remember, you don’t have to handle your family law issue on your own.